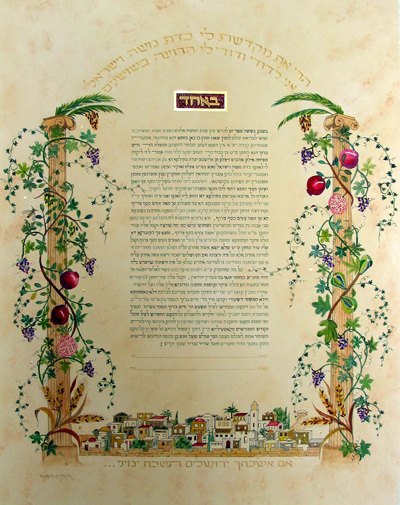 The Conservative with Lieberman Clause text of this Ketubah is written with three shades of green on the "parchment" background. The Seven Species are embracing the two pillars on both sides of the Ketubah. At the bottom of the Ketubah is a view of Jerusalem with Gold rooftops and the sentence "If I will forget you Jerusalem...."